If diapers are still a common sight in your household and you still keep track of your child’s pees and poops, you are probably wondering if this is the right time to take on potty training. Most parents have experienced this. At one point in your life, you have longed to diaper your infant. You were so excited that you almost did not mind having to change your baby’s disposable underwear every hour. But as days passed by, the whole process has taken its toll on you. There is no doubt that by now, you really want to live in a home free of messy diapers. Taking into account the hassle of disposing of used diapers and the handsome portion of your weekly budget spent for this item, you cannot be blamed if you already want to know how to potty train. Many parents are asking when to potty train assuming that there is a specific age for this milestone. Apparently, the experts stated that there really is no particular time when a child can learn how to use the potty. There is no ideal potty training age and it all relies on when the child already has the needed skills for such activity. A child has to demonstrate a certain level of physical and cognitive skills before you introduce the potty. In most cases, this development takes place when the child is between 18 to 24 months old. It seems like most parents only start potty training when their children are between 2 years and 6 months old up to 3 years old. Some make use of daytime urinating as a basis. However, if your child does not seem to be ready for potty training even he is 3 years of age, you should not worry. There are kids who only show interest when they are already 4. If your child already walks and runs firmly and his stools are well-formed, then he is considered physically ready for potty training. However, it is advised that you take note of his bowel movements so you can predict when in the day he would want to sit on his potty. Meanwhile, behavioral signs should also be taken into consideration when learning how to start potty training. 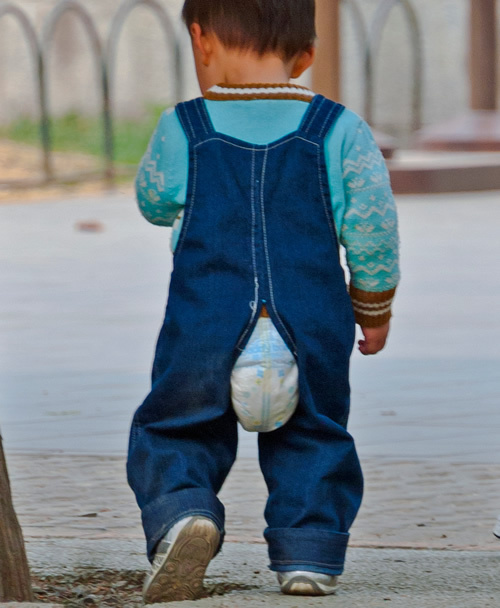 If your child can be at one place for at least two minutes and he already knows how to pull his pants up and put it down, he is likely to learn using the potty in no time. The child has to have the capacity to follow instructions before potty training. It is also important that he can provide signals when he wants to poop or be able to hold it until he is seated on the potty. Once your child starts exhibiting these signs, you are on your way to having a potty training student. There is no particular potty training technique that works for all toddlers. Each child is unique and it is your job to find out which approach can make things easy for both of you. Here are some ideas that may do wonders in your effort to teach your child how to own the thrown when nature calls. Take your child to the bathroom around the time he usually poops. Put the potty seat nearby. When he’s ready to release, try if he will agree to use it. if he does, give him praises so he knows he did a great job. Find time when you can focus on potty training. This is a more intense approach but is proven to be more effective. Take your child to the bathroom where the potty seat is set. Let him know how it feels like to be seated on it and make him understand what it is for. He may not agree to use it at first but he will eventually do so as he gets more and more familiar with the potty.